The Las Vegas Jeep Club put on their annual sand drags and hill climb at the Dumont Dunes on President's Day Weekend. Thanks go out to Wendy Thompson for providing the results and C3 Productions for supplying the great pictures from the event. 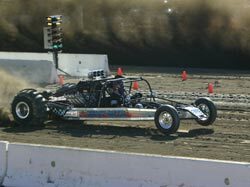 The National Sand Drag Association (NSDA) held their season opening event February 2-4 at the Soboba Casino in San Jacinto, CA. Sunny skies and moderate temperatures were welcome weather for some great racing action. The racer turnout was great with right around 300 racers competing throughout the weekend. This race also counted for NSDA’s point series which helped make for extra close racing throughout the weekend. Dan Allen started racing on the sand in the 1960’s with his father and that has led to a life long connection with the sport of sand drag racing. The Allen Racing team balances the fun that comes with being involved in the sport and the professionalism of a top notch race team. This makes their program one of the front runners in the Top Alcohol class. 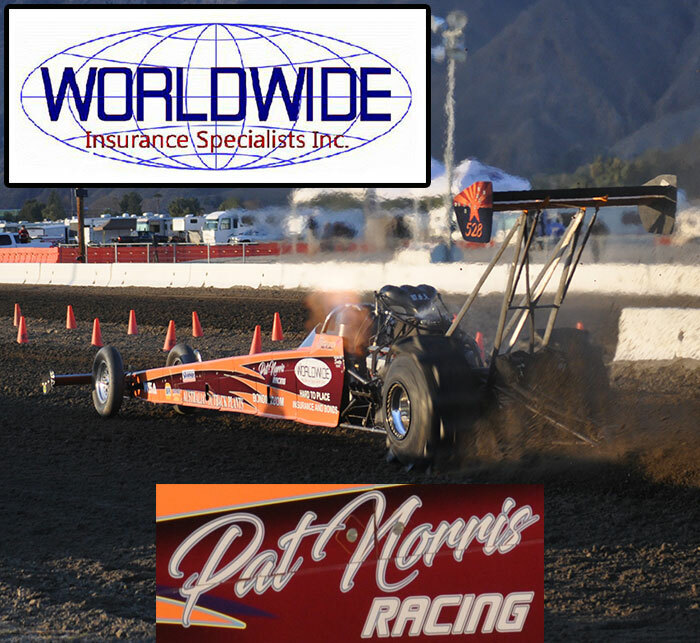 Rick Morris, of La Quinta, California, can now say that he owns the world’s quickest & fastest buggy. 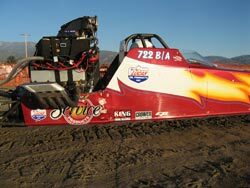 At the 2007 NSDA season opener, Rick laid down a 2.792 at 123 MPH pass backed up by a 2.812 at 124 MPH run. These runs were a whole tenth of a second faster than his prior bests. Rick’s “Heavy Metal” machine has warped over the years into one of the most exciting cars to head down the track on any given race weekend. Safety, it’s a word that all racers know. It commands attention and concentration at its very announcement. Safety is something not taken lightly, no matter what form of racing it is referring to…or is it??? I have done some “Tech” work in the past with sand drags, on asphalt, and with roundy-round cars. It continues to amaze me how some things that seem so basic to most people can seem so complex and unnecessary to others. 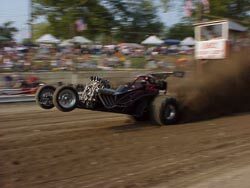 The 2007 sand drag racing season has already kicked off and looks to be a record setting season for the sport. NSDA’s season opener at the Soboba Casino was a massive event with nearly 300 racers competing and putting on a fantastic show. NSDN readers voted for Scott Whipple’s dominating Top Fuel victory as the most impressive performance of the event. Scott (pictured right) and the Canidae team was the model of consistency running 2.43, 2.43, and 2.44 in qualifying followed up by 2.51 and 2.48 in eliminations. Scott looks like he will be a hard man to beat in ’07, but there’s no doubt the rest of the Top Fuel class will be gunning for him throughout the season. It’s hard to picture the upcoming race season on the horizon with temperatures dipping below zero last week and being sent home early from work today with eleven inches of snow on the ground. However, in just a few short months racing in the Midwest will be kicking off. In the off season the local organizations have been working hard and working together to produce a schedule with some exciting events for this part of the country.